During my early years, when I was working in India, I was associated with computerizing & automating a number of functions for a major national media group and also for a major regional group of publications. Both these were during the years when the Internet hadn't yet become publicly available in India. The insights this gave me into the workings of these groups and the people working there, were both startling and often quite disappointing to me as a professional belonging to a different domain. Fortunately, since I was working for a MNC during those days, I was able to successfully resist the several attempts at blackmailing and arm-twisting by the owners or their representatives in the senior management echelons of these companies. We had some fairly unambiguous standards about business ethics and propriety and so, I had no hesitation in telling them what we would and would not accede to, even if it meant them taking their business elsewhere. Over the years, I have had journos whom I got to know, tell me some really unsavoury things about their managements and owners and some of their typically sleazy and unethical practices. I am not going to narrate them here or anywhere else for that matter because I respect things said to me in confidence. Awhile back, I happened to read an excerpt from Karan Thapar's book and shared it too. While it tells you a few things about Indian PM Narendra Modi's character traits, pettiness & modus operandi, if you read between the lines, it also tells you a few things about the symbiotic relationship between politicians, journos, anchors, power-brokers and businesspersons. They all need each other at various points of time and are quite amenable to scratching each other's backs purely for self-serving purposes. This guy Thapar reveals himself to be quite an untrustworthy bloke and one who was willing to bend and even grovel at the feet of these people once he found out that certain doors had been shut in his face. He has no qualms about revealing things some people told him in confidence. Many of these traits are quite typical of his tribe. Here's the link to that post of mine. The Indian media was going ga-ga in the 2013 - 2014 period about the influence of social media in the 2014 general elections. Some of these assertions were motivated & planted news and some of it was uninformed gibberish because the Indian media does not research or fact-check many theories that they propound so enthusiastically. The fact of the matter is that SM's influence, if anything, was fairly marginal for the 2014 elections. Print media, radio, TV, banners, posters, outdoor advertising, public meetings & word of mouth largely held sway. To understand why it was so, look at the hard facts of that time narrated in this post of mine from 2013. All this is going to change in 2019. For reasons that you can well guess, SM will play a significant role during the forthcoming general elections in 2019. The implications of these were best described in this excerpt from an article in the 'Washington Post' recently. "One of the jarring realizations of the 21st century is that democratic governments are only as good as the quality of information that their voters receive. Influence the information flow voters receive, and you’ll eventually influence the government. In the past, the problem was uninformed voters. Today, the vortex of polarizing cable news (particularly Fox News) and the elevation of fringe nutcases into the mainstream on social media have caused millions to flip from uninformed to misinformed voters — who are far more dangerous. And in the 21st century, it’s pretty easy to use active disinformation operations to exploit these existing problems of misinformed voters and hyper-polarized politics. " The player who puts in more resources into social media and strategizes better is clearly going to have an edge over his opponents. Additionally, if the player is willing to throw ethics and established norms of propriety out of the window and resort to uninhibited propaganda, fake news and disinformation, he or she will reap the benefits of doing so in the short term. Major SM networks will not inhibit such practices completely despite whatever they may aver publicly, because doing so will adversely affect their successful business models. I have been hearing quite a few bone chilling tales about how almost all the Indian mainstream media has been subverted, muzzled or hijacked using the tried and tested carrot and stick methods. 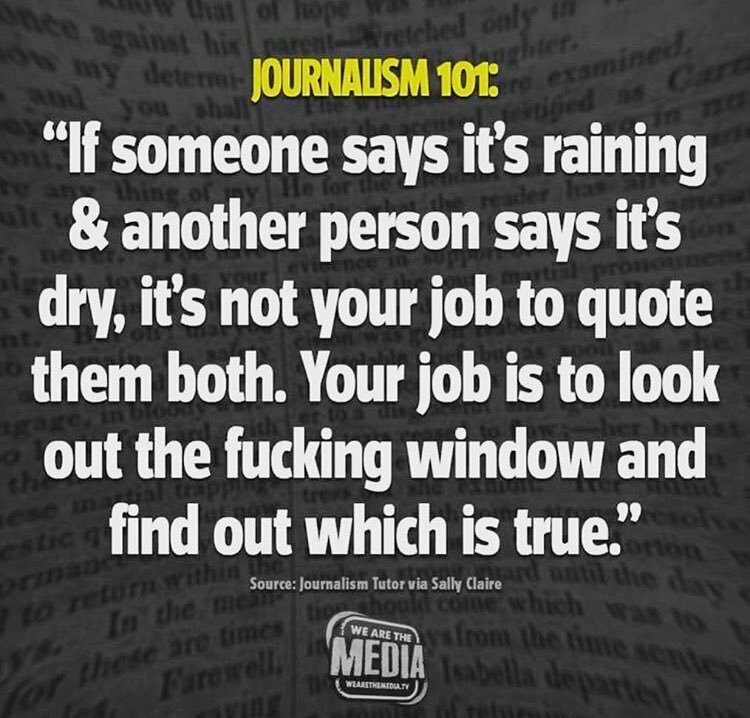 This includes TV news channels and publications widely believed to have a liberal, progressive or socialist slant generally. Operation 'media takeover' sounds virtually like a mafia operation when one gets down to the gory details. Any unhitching, if at all, will only happen after the results of the 2019 general elections are known. I notice increasing numbers of supposedly mature, intelligent and discerning people on social media, posting and resharing propaganda and fake news without quite realizing that they are doing so. Attempts to deflect attention from the 'bad news' and lead people away from the key issues, are successful in most cases. As the 2019 general elections get nearer, these instances invariably will multiply manifold. It is anybody's guess what the outcome of all this will be in the short and the medium term but clearly there is a sense of foreboding and even impending gloom in several quarters. At this stage, there is little else to do but wait and watch.